Makeup plays a huge role in the life of many women. It is almost like clothes for the face—we do not appear out on the streets naked, and the same can be said about the use of decorative cosmetics. The art of makeup has its own trends; our task is to carefully study all of the most current trends to create our own unique style. Girls with gray-blue eyes are very lucky. They can use many different color combinations, creating all sorts of interesting looks: from concise and businesslike, to the daring and creative. Elegant makeup for gray-blue eyes successfully accentuates their beauty and propels them into the spotlight. Makeup for blue-gray eyes is a charming softness of light shades; it mainly includes cool colors, but all is individual. Gray-blue eyes fit the following colors. For the foundation, light blue, light gray, and silver is best. It is believed that silver creates an extremely refreshing look. Different shades of gray, platinum, violet, ivory, gold, and copper work harmoniously with one another. An interesting contrasting effect is given off by raspberry and orange—rich and succulent, they reinforce the natural eye color so that it becomes the dominant feature. 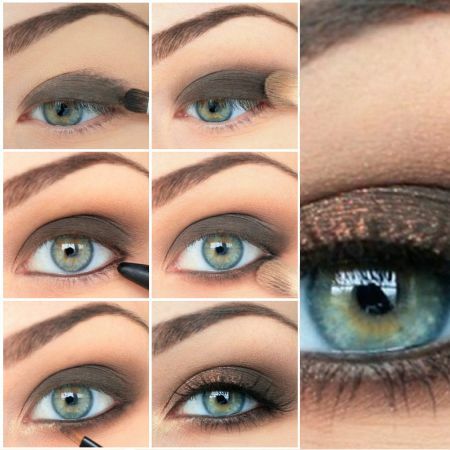 And let’s not forget to mention smoky eyes, this makeup technique is always relevant. The color pink does not fit gray-blue eyes because they can create certain flaws. Blue and green are also not suitable as they pull the focus to themselves. It should also be noted that gray-blue eyes can change color over a period of time. Therefore, before doing your makeup, it is necessary to determine what your goals are and what you would really like to emphasize in your image. Now on to the eyelashes: although the most popular colors are still black and brown, in this case it is possible to experiment with the color of your mascara. As is the case with eyeshadows, refrain from using green shades. Needless to say, the lashes should be carefully coated to the base, avoiding the appearance of any lumps and "spider legs." Skillfully crafted makeup will make your eyes more beautiful and surely put you in a good mood! 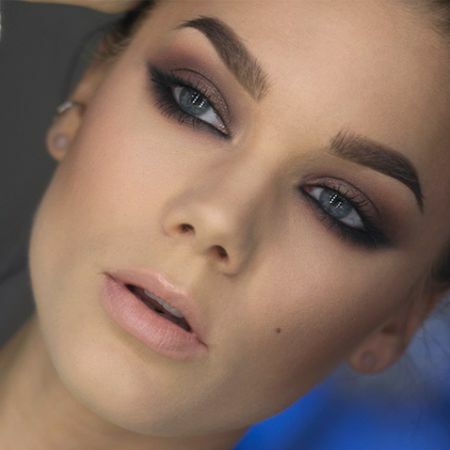 Like the article «Makeup for Blue-Gray Eyes»? Share it with friends!